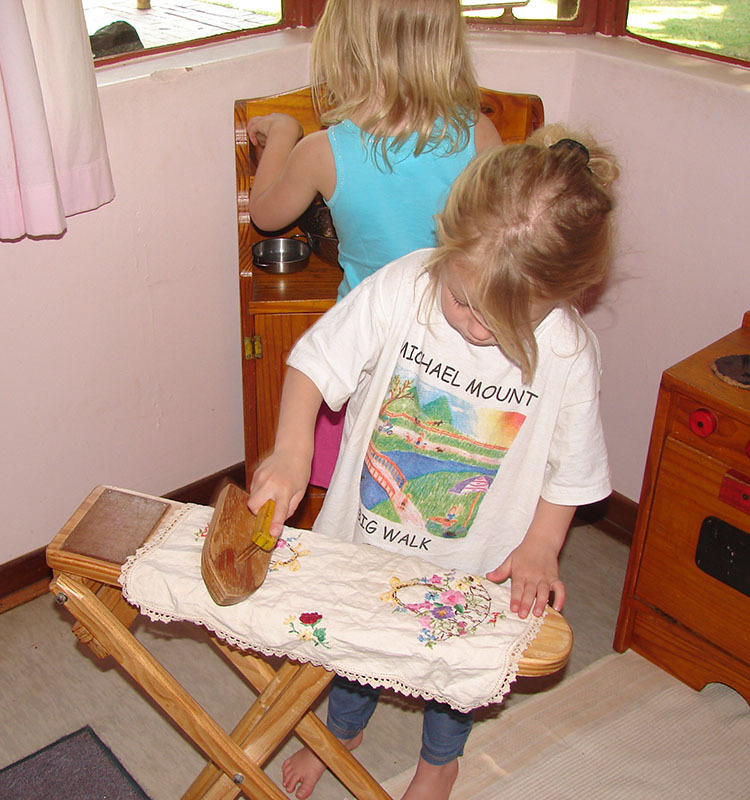 The Michael Mount Early Childhood Centre is home to two playgroups. Each group consist of 16 to 18 children between the ages of two and four. School times: 8h00 to 12h00, Monday to Friday. Early morning care is available from 7h15 and aftercare from 12h00 to 16h30. The primary goal of the Waldorf early childhood programme is to provide children with a safe, nurturing space in which to access their most important learning tool at this age: their imagination. Toys are made from natural materials and are as unfinished as possible, so that the children are left to ‘finish’ them with their own imagination. Playthings include simple dolls and wooden objects, as well as beautifully coloured cloths for dressing up and ‘building houses’. Imaginative, free play is considered one of the most important means of stimulating physical, social, emotional and cognitive development in young children. A lot of time is spent outdoors – allowing children to engage in self-directed games that get them moving. Structured activities include: storytelling, puppetry, singing, eurythmy (a Waldorf dance-like movement art that is often referred to as ‘inner gymnastics’), hand games, finger plays, painting, drawing, beeswax modelling, baking, cooking, nature walks, circle time and a meal eaten together. While formal learning does not feature until the child enters Primary School, all activities listed above are designed to develop specific capacities that aid the child’s development and unfolding. Waldorf education is developmentally appropriate and meets the child with what they need at any age. It is important for young children to develop fine and gross motor skills, hand-eye coordination, general balance and coordination, as well as language, oral and social skills. The Early Childhood Centre consists of safe outdoor spaces in a beautiful garden, as well as pleasing indoor spaces filled with natural objects and play things.